A note from Blizzard Legacy of Nightmares builds for the Witch Doctor, specifically on the Witch Doctor’s Spirit Barage. 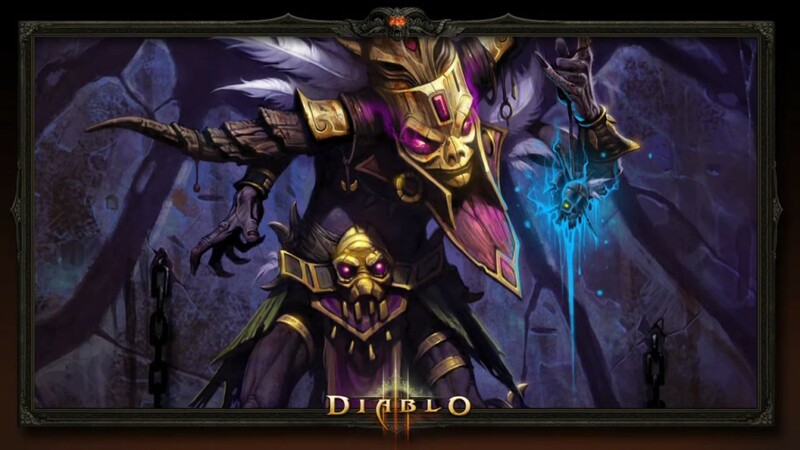 There’s a lot of great discussion and a ton of build sharing going on around Legacy of Nightmares builds for the Witch Doctor that focus on the interaction between Spirit Barrage (Phantasms) and several pet-oriented Legendary powers. It’s wonderful to see such constructive conversation and information sharing as various community members explore the strengths and intricacies of this emergent gameplay. There has also been some concern that this interaction will be nerfed. We wanted to share our thoughts on this today and reassure the Witch Doctor community that, at this time, we have no intentions to make changes to Spirit Barrage (Phantasms) or its currently existing interactions with items such as Mask of Jeram, Ring of Emptiness or The Barber. Ultimately, we’ve decided that the answer to both of these questions is yes, and there is much higher risk in adjusting the balance of this skill or the other items than there is to let the community continue to enjoy this fun and unique build. We will continue monitoring its performance, of course, and we’re prepared to make any changes if something extreme arises. In the meantime, please continue to theorycraft and Spirit Barrage to your heart’s content! Hopefully this will open up the possibilities of more LoN builds.